Listen to Nicki Minaj's big single with Lil Wayne, Drake and Chris Brown "Only." 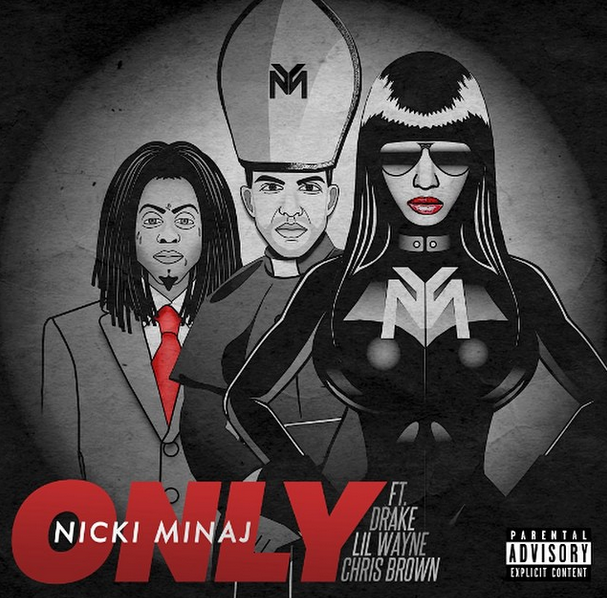 Nicki Minaj teased us with the cartoonified cover art for her new single "Only" on the weekend, featuring an all-star line-up of Lil Wayne, Drake and Chris Brown. Today we get the new single which was premiered on iHeart Radio. It's a definite radio-friendly banger, although, it's the clean version for now. The new single comes shortly after we received word that Nicki Minaj's upcoming album The Pinkprint is delayed until December 15th. This isn't the only YMCMB project that got delayed, Lil Wayne's Tha Carter V was slated to drop today but has also been delayed with no new release date in sight. In related YMCMB news, Birdman recently addressed the rift between Tyga and Drake. Young Money going through some things, it seems.